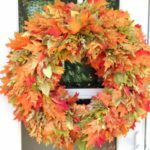 A fall wreath is the perfect way to usher in the cooler weather. Fall is the time to enjoy the nature’s bounty. 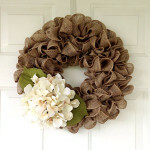 Fall wreaths explode with different colors this season that incite the hidden artistic flair of many of us. Making a wreath out of natural ingredients is possibly the easiest way to channel that artistic flair into something substantial. 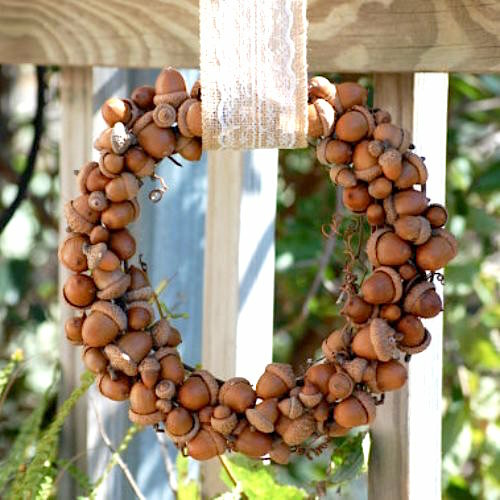 This season use rustic acorns for your home or wedding. This tutorial will guide you to the making of a fall wreath by using a very common seasonal produce – nuts. You can use any hard-shelled nuts – almonds, pecans, walnuts, hazelnuts, or acorns or a mix of them – that you can collect from even your own backyard. 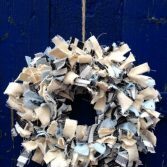 The other materials listed here can easily be picked up from your local market or from online shop. Separate the nuts according to their sizes – larger and smaller. 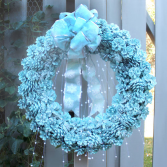 Use the hot glue gun to glue the larger nuts to the wreath form. Leave small spaces along the way. Take the smaller nuts and glue them to the blank spaces. Affix them to the inner and outer edges of the form too. 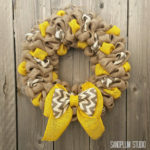 Now, make a bow using the ribbon and tie it around the wreath’s top or bottom part. Your masterpiece is ready! Hang it wherever you like. 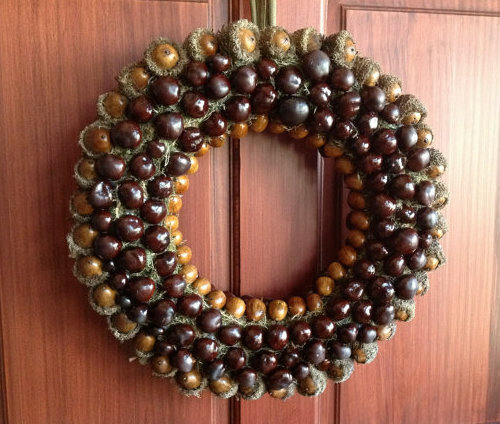 Nuts of various sizes have been used in this wreath to create patterns and layers. In addition, the entire frame of the form has been covered with nuts so that no part of it remains visible when it is decorating your front door or living room wall. 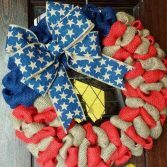 Many of us won’t mind embellishing the wreath a bit. If you want to make it more festive-looking and shiny, you’ll need a couple of extra materials. Paint the nuts with gilding adhesive and let them develop proper tack by leaving them on the cooling rack for nearly 25 minutes. When they are ready, softly brush the mica powder on them. 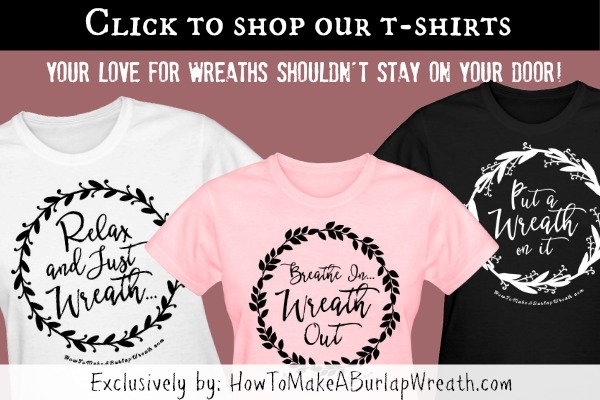 Now, follow the wreath-making instructions mentioned earlier. Crafting such a simple but beautiful nut fall wreath is a stylish way to display the natural harvest of autumn. Hanging this wreath on your front door will represent your hospitality and greet you guests with a warm welcome! 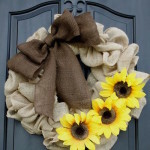 For more fall wreath ideas try this fall burlap wreath tutorial.